Dreams do come true! My cousin Evelina was right (She usually is!). Today I was able to be in Siracusa to see (and hear) “Le Supplici,” or “The Suppliant Maidens” by Aeschylus. Pictured is a scene from the show. The Suppliant Maidens premiered around 470 BC in Ancient Greece. The themes however, are so timely for current events–immigrants from North Africa crossing the Mediterranean seeking refuge. 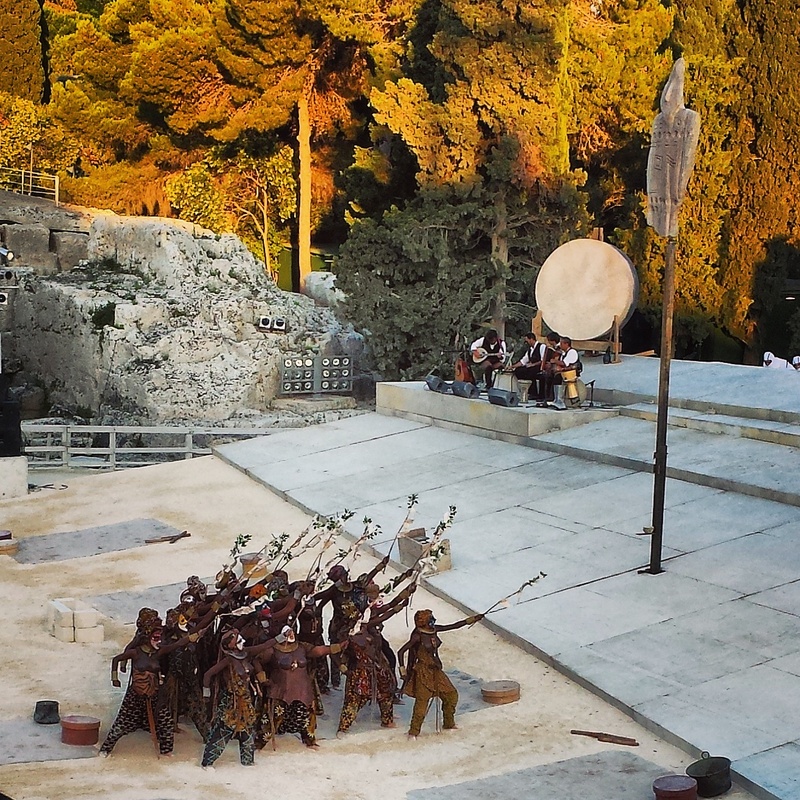 Young, innocent women being abducted and raped … Coupled with Sicilian folk music that was adapted for the show and original compositions, dialogue in Italian, Sicilian, and Greek, the eye-catching costumes and scenery… I can go on and on. It was a world-class performance that I will remember for years to come!